Today is Ben Spencer’s 44th birthday. 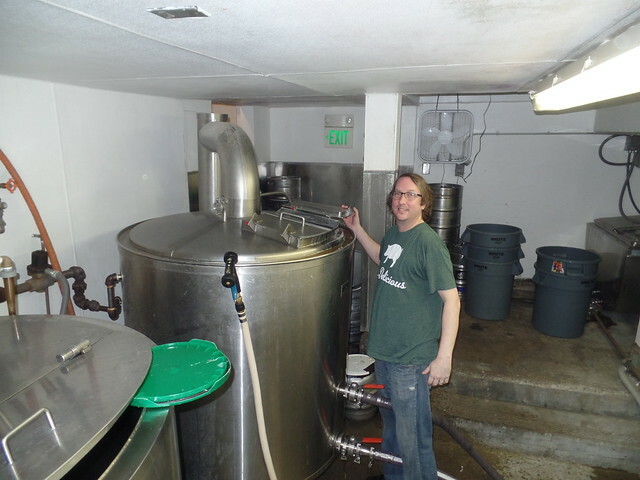 Ben was the head brewer at Magnolia Gastropub & Brewery, but due to their Chapter 11 bankruptcy was making ends meet as an independent contractor. For a short time, Ben was then the Director of Operations and Brewmaster at Strike Brewing in San Jose, but more recently moved to Richmond, Virginia to become the Director of Operations and Brewmaster for Dogtown Brewing. Ben grew up in Virginia, and spent some time brewing in Colorado — and even worked for Greenpeace — before coming to the Bay Area in 2004. That’s when he left Boulder for San Francisco to make beer at Magnolia. Ben’s a terrific brewer and a great person, too, and I’m sorry the Bay Area lost him. Join me in wishing Ben a very happy birthday. 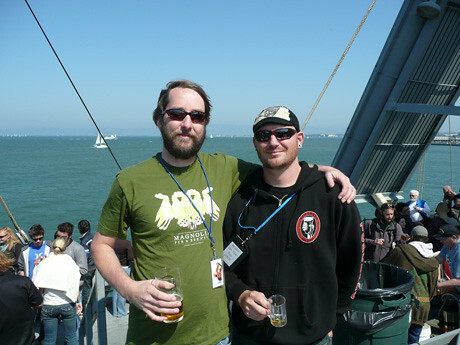 Ben with Jesse Houck, when he was still brewing with 21st Amendment (he’s now at Golden Road) during Brews By the Bay 2008. A sextet from San Francisco at GABF in 2008. 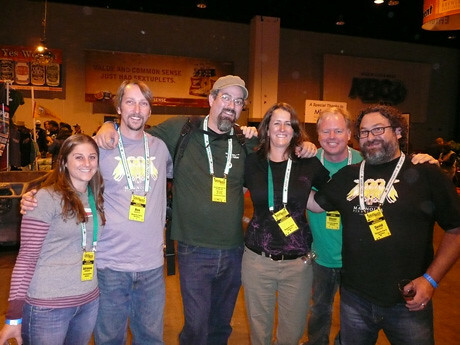 From left: Adrienne McMullen, with 21st Amendment, Ben, Sean Paxton, the homebrew chef, Ben’s wife Kelly, Shaun O’Sullivan, from 21st Amendment, and Dave. 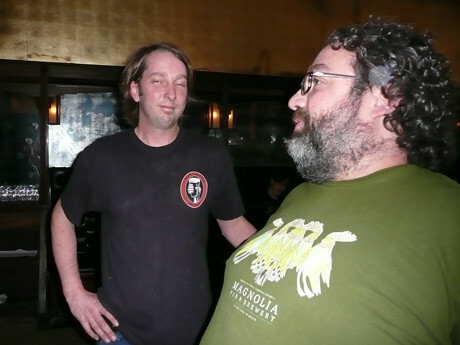 A satisfied Ben with Dave McClean after a vertical tasting of Old Thunderpussy in 2009. 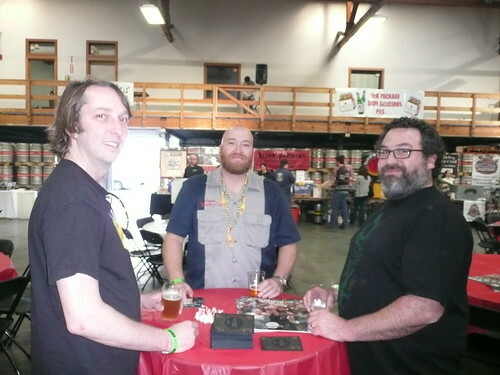 Ben with Dave Hopwood (Stone) and Dave McClean (Magnolia) at the 22nd Celebrator Anniversary Party in 2010. After Bruce Paton’s cheese and beer dinner in 2008. 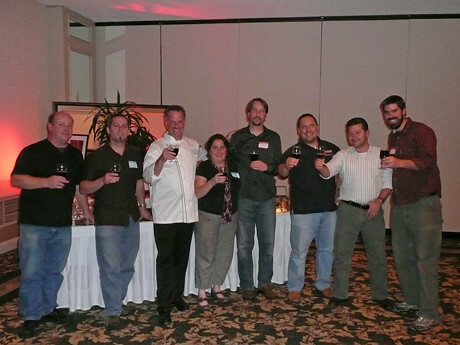 From left, Arne Johnson (Marin Brewing), Aron Derosey (Beach Chalet), Bruce Paton, Sheana Davis, Ben, Ron from 21A, Brenden Dobbel (Thirsty Bear) and Rich Higgins (Gordon Biersch). Ben in the basement brewery at the end of brewing a mild a couple of years ago.